Illuminating your consciousness and lighting up your path is the nurturing presence of Divine Light, a very bright blessing in this new year. Life is calling you. Feel the unfolding of Divine Energy as it moves through your being. Do you feel a tug on your heart? Does your inner restlessness have a hidden passion waiting to come into your awareness? There is within you a core of Love — a deep abiding place where the Divine dwells in Harmony and Goodness. From this place you can respond to Life with integrity from your most Divine Self. This is the harbinger of your future, enticing you to live in greater connection to Light and the expansive awareness of the Love within you that never dies. In 2016, you are lighting up your life with the inspiration that Divine Love can bring you. Turn your attention to areas of your own life demonstrating to you where your focus most needs to be. The Angelic Dimensions are here to bring more Light, more Love, more Abundance to your world. It starts within as you begin to be aware and bring more Harmony to the various areas of your life that are ready to receive more energy. Within the frequencies of Divine Light is the power of clear Inspiration forming new connective links to your most Divine self. Operating within this inspired activity is a new creative ability to expand into levels of Harmony with your soul. When you follow your most exalted thoughts and allow your heart to be inspired with the resonance of deep truth, a level of Divine Creativity opens up within you. As you are illuminated by the qualities of consciousness the Divine is offering, a smorgasbord of opportunity lays itself before you. Spurred on by the deepest desires of your soul, you have a precious moment in time to really contemplate and become aware of the most delicious possibilities opening up to you for your new year. As you allow this new awakening within your body to have the spaciousness that it requires to come into fruition, you will eventually find yourself opening into the action inspired by the deepest dreams of your heart — the ones that bring you happiness. This spaciousness within you now feels very new. Some may see it as a large void space that needs filling, some even judge it as being spaced out. We, your angelic guides are encouraging you to allow to Be as it is – space, nothingness, void. Do not avoid the void, we say. Even though this spaciousness feels uncomfortable while it is unfamiliar, as you allow the expansive space to work its way through your physical body, the feelings of growing expansion become more familiar so you can recognize them as your divinity flowing in new ways. This spaciousness is an extremely creative place to be. It becomes anything you focus on, and yet if you allow it to just be spacious, it becomes a platform for the new aspects of life that reflect your true divine nature. This spaciousness is healing balm for your heart and your over-stimulated nervous system. It is essential that you allow yourself to learn how to relax and just BE. This allows you to do what most inspires you from that place of spaciousness. It is a time of heart-centered inaction leading into action. As you find resonance within yourself by bringing more Divine Love into the space within you, the openings occur in the energetic field around you. These are the Light Fields of Pure Consciousness where you will now begin to live in 5D life. These fields of consciousness respond to your attention; they are activated by your focus and are the new levels of divinity that you can enjoy, employ and empower in every area of your life. Trust in the Divine Presence expanding within you. Allow the spaciousness to open into new creative states of consciousness. Know that you have just jumped into a new quantum field, so your physical being needs to learn how to accommodate and integrate the higher frequencies of Light energy working in you now. This year is about inspired action from your heart that brings new form into manifestation. The new spacious field you are experiencing is allowing your heart’s intelligence to strengthen. A new empowering and deeply calming presence opens to you as your heart’s voice, the unfolding nature of new reality. This new space within is giving you time to be clear about your intentions for your life. A flow of pure potential awaits your willingness to seed inspired qualities into the sacred matrix of new life awakening within you. 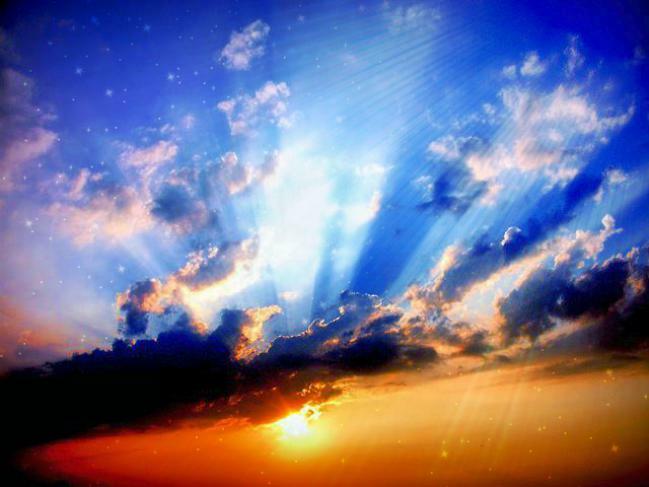 The effortless aspects of new creation will become the magical world that you inhabit in 5D. There are many ways to create new life that are possible in this day and age that were never before available. This year is about honing your 5D skills of co-creation through seeding your mind and heart with Light and pure intentionality. Heaven on Earth is not created in a day, and in the same manner, the new life awakening within you will not come into full fruition immediately. That does not mean you should not practice this new skill as if you were creating in an instantaneous way, which miraculously just may occur. As you do this, you will be setting the train on the tracks of manifestation to begin your year. You may have noticed an increasing dedication to the focus of serving God in the world that is expanding your heart. The power of this feeling is inspiring new connections and creating more openings that allow you to show the way to others who may feel confused. Although you are taking action that seems purely as if it were serving only you, this is your divine nature at work. As an added bonus, it creates an expanded perception in the way others perceive you. You are stepping into your new light-body template. This is an aspect of divinity that you have never experienced. There has never been a time when more than a third of the people on the Earth are awakening into their divinity. Your most authentic, eternal and divine aspect of yourself is at work within you creating new life in 5D. Open the doors to Freedom as you allow the spaciousness of your Divine Nature to show you the way. And always remember that you are never alone in your evolution. The Angelic Dimensions are here to support the ascension process and bring Heaven to Earth within the heart of all humanity. Understanding Light Fields of Pure Potential allows you to co-create with the Universal Flow of Life. Light Field Technology™ is a system inspired by Archangel Gabriel that teaches you to thrive in the new frequencies of 5D energy. During this class, Shanta will be transmitting powerful activations of energy from the Angelic Dimensions to support your life. In this teleconference series, you will receive tools and energy updates to assist you as you become more comfortable in your physical body while it integrates, expands and blends with your most Divine Self. Through the teachings of the Archangels, you can use intentional Light fields to create your most empowered future as you learn to navigate the new dimensions. Light Field Technology offers you powerful spiritual practices to retrain and rewire your being to hold the higher frequencies as you bring spirit into matter. This gives you new freedom to experience life in a more expansive and joyous way. • and use intentional fields to create your most empowered future. "Thank you so much for leading this amazing experience! Personally I never want it to end. The connection and power have been immense." 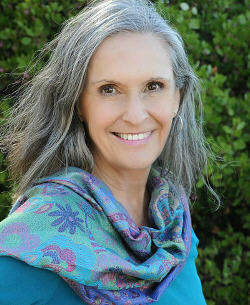 "Thank you Shanta for providing the space, trust and Light for me to share and go deeper into my sacred heart." "You have helped me cultivate alignment with Love and Light so that this is my basic resonance. This is my true work. It will take on many expressions and translations. I am deeply grateful that you are sharing your gifts with us." Join us for your own transformational experience! Copyright © 2016 Shanta Gabriel, All rights reserved.